Ana SayfaBELIEF IN ANGELS10- All of the evidences that prove the prophethood of the prophet Muhammad (Peace be Upon Him) also prove the existence of angels. 1- All evidences that prove the prophethood of the prophet Muhammad (Peace be Upon Him) show that He is the apostle of Allah. 2- Since he is the apostle of Allah, then it is not possible for Him to resort to lying, by any means, which is the deed of liars and inferiors. That is, if we use the miracles of the prophet Muhammad (Peace be Upon Him) as an evidence for the existence of angels, this will be right and true. 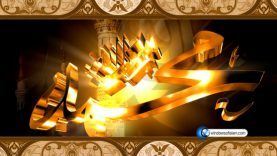 1- Since he showed miracles, then he must be the apostle of Allah because none showed miracles other than Rasuls (messengers). 2- And as he is a prophet with the sign of the indications of His miracles, he does not tell lies and resort to any lies. And God forbid, He does not say “I met” the person of whom he does not meet, or say “I saw” the person of whom He does not see as if He is slandering Allah who sent himself as a prophet. He who cannot deny the prophethood of the prophet Muhammad (Peace be Upon Him) cannot deny the existence of angles. He who cannot deny the miracles of the prophet Muhammad (Peace be Upon Him) cannot deny angles, either. He who cannot deny the morals, piety, and honesty of the prophet Muhammad cannot deny angels. In short: He who cannot deny all of the evidences of the prophethood of prophet Muhammad (Peace be Upon Him) cannot deny the existence of angels. Alas! Who can deny the prophethood of this person whose prophethood has been proven with the witnessing of thousand proofs? And who can attribute lies to this person? And who can doubt about the words of this person? God forbid! We do not doubt about the existence of the people who are living in continents that we do not see but we believe them based on the narrations of the people who go there and of their observations; in the same way, we could not and should not doubt the news of especially the prophet Muhammad (Peace be Upon Him), who travelled and saw the inner realm and other prophets and saints!